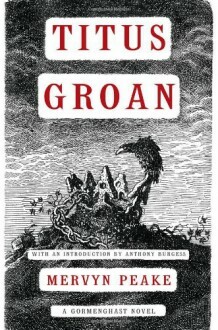 An undisputed classic of epic fantasy, Mervyn Peake's Gormenghast novels represent one of the most brilliantly sustained flights of Gothic imagination. For the first time in years, Titus Groan, the first book in this timeless series, is available in an individual paperback volume, complete with striking new packaging. As the novel opens, Titus, heir to Lord Sepulchrave, has just been born. He stands to inherit the miles of rambling stone and mortar that form Gormenghast Castle. Inside, all events are predetermined by a complex ritual whose origins are lost in history and the castle is peopled by dark characters in half-lit corridors. Dreamlike and macabre, Peake's extraordinary novel is one of the most astonishing and fantastic works in modern English fiction. http://GregorXane.booklikes.com Gregor Xane 3.0 Titus Groan!